Let Us Make A Fair All-Cash Offer on Your Gardena House. Do you have a home in the Gardena Ca area that you need to sell fast? Is there a problem situation with your property that is stressing you out? If yes, you have come to the right place. We buy houses in Gardena Ca. We are a local home buyer. We Buy Houses in Gardena Ca no matter the condition for cash. We can close in as little as 10 days or on your preferred timeline. Once we agree to buy your house, you can rest assured that it is sold, case closed. See the comparison between listing your house and selling it to us. 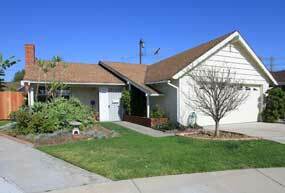 We buy houses in Gardena Ca like this one on Catalina Ave. Get you fair CASH offer today! Step 1 – We just need some basic information about your situation. Just fill out the short form below or if you prefer, call us directly at (818) 392 4845. Step 2 – We will set up a quick appointment to view your house and present you with an offer that you can accept or reject. There’s no obligation. Step 3 – Close escrow in as soon as 10 days or you choose the closing date depending on your timeline. Cash in your hand. Selling your house to us has never been so easy and hassle free. If you want to sell your home fast, you are probably wondering what are the different ways to sell your house and which one is best for you. There are basically three ways to sell your house. You can either 1) list it with an agent, 2) try to sell it yourself or 3) you can sell it to a cash buyer like Solution Home Buyers. Which method is best for you really depends on a combination of how much Time, Money and Effort you have to spend. Let’s look at these a little closer. What is the time frame in which you need to sell your house? Some people have all the time in the world to sell and others have to sell their house fast. If you need a fast sale, then listing with an agent or selling the house yourself is probably not for you. Listing with an agent or selling it yourself can take months or even a year, if it sells at all. Sometimes your house can sit on the market waiting for your buyer and your price. Selling to a cash buyer like us is the quickest way. You can close in as little as 10 days. This is a no brainer. You want to walk away with the most amount of money in your pocket. Many homeowners think by selling their property to a retail buyer using an agent, that they will make the most money but that is not always true (using an agent is not always the best choice). There are many costs like 6% agent commissions, 2% escrow fees, holding expenses while house sits on the market and repairs that the buyer will demand after inspection. When you add up all these costs, you might end up with less money that actually ends up in your pocket than selling to an all cash buyer. Sell your Gardena Ca home today! Our goal is to make your life easier and help you get out from under that property that’s stressing you out… while still paying a fast, fair, and honest AS-IS price for your Gardena home. We help property owners just like you, in all kinds of situations. From divorce, foreclosure, death of a family member, burdensome rental property, and all kinds of other situations. 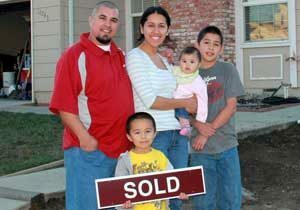 We buy houses in Gardena CA and throughout the Los Angeles area. Sometimes, those who own property simply have lives that are too busy to take the time to do all of things that typically need to be done to prepare a house to sell on the market… if that describes you, just let us know about the property you’d like to be rid of so you can sell your house fast in Gardena CA. In 1784, three years after the foundation of Los Angeles, Juan Jose Dominguez (1736–1809), a Spanish soldier who arrived in San Diego, California in 1769 with Fernando Rivera y Moncada, in recognition of his military service, received the roughly 43,000-acre (170 km2) Spanish land grant, the Rancho San Pedro. Part of this land contained what became known as Gardena Valley. After the American Civil War veterans bought parts of the land, and soon ranchers and farmers followed suit. Union Army Major General William Starke Rosecrans in 1869 bought 16,000 acres (65 km2). The “Rosecrans Rancho” was bordered by what later was Florence Avenue on the north, Redondo Beach Boulevard on the south, Central Avenue on the east, and Arlington Avenue on the west. The Rosecrans property was subdivided and sold in the early 1870s. One of those became the 650-acre (2.6 km2) Amestoy Ranch. 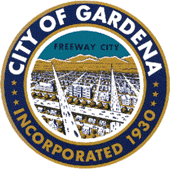 Gardena proper began in 1887 when the Pomeroy & Harrison real estate developers subdivided the ranch, anticipating the coming of the Los Angeles and Redondo Railway. Civil War veteran Spencer Roane Thorpe is credited with starting the first settlement in Gardena in 1887. Railroads put Gardena on the map following a real estate boom in the Los Angeles area in the 1880s. We buy houses in Gardena, CA 90247, 90248, 90249 and across Los Angeles County. If you need to sell your house fast in Garena CA connect with us… we’d love to make you a fair no-obligation no-hassle offer. Take it or leave it. You’ve got nothing to lose.